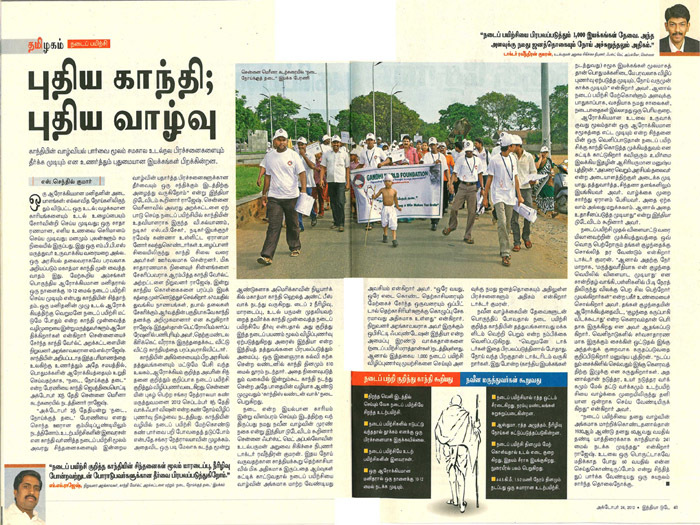 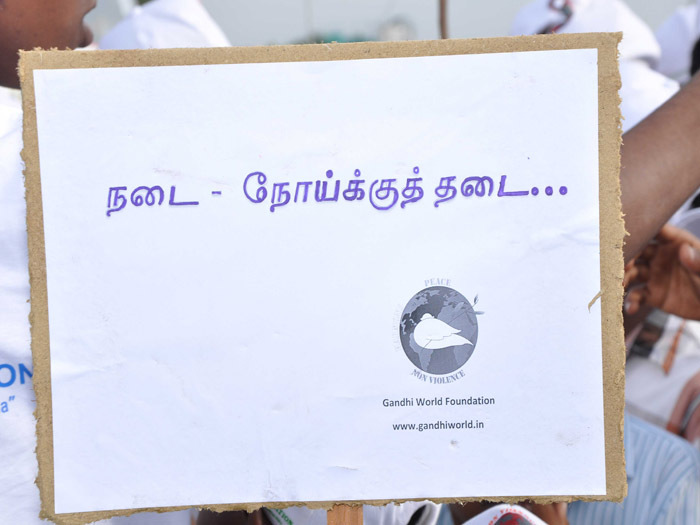 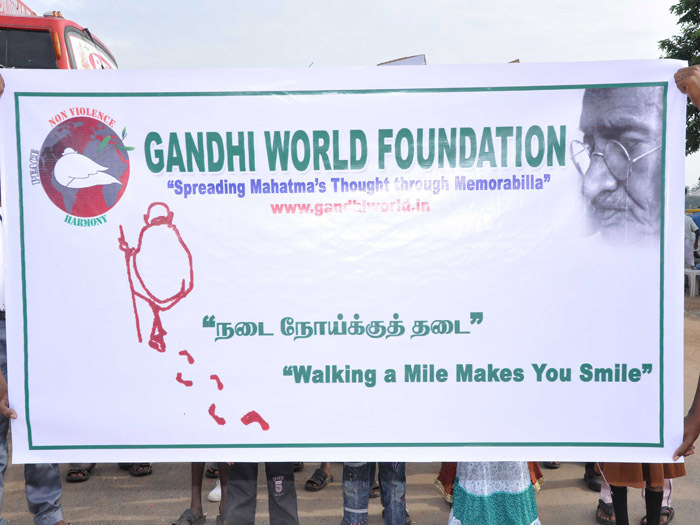 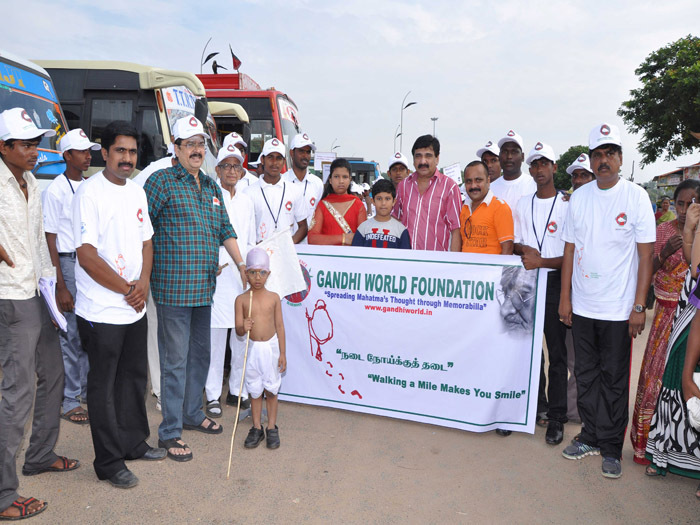 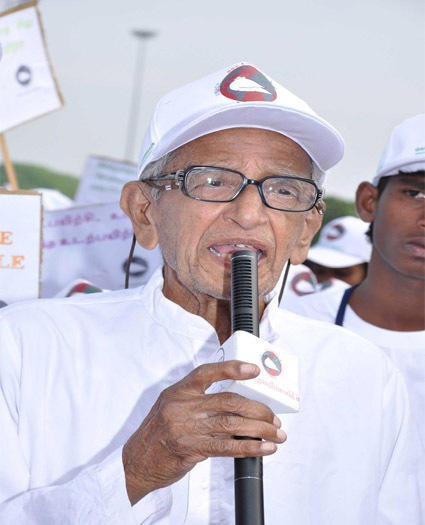 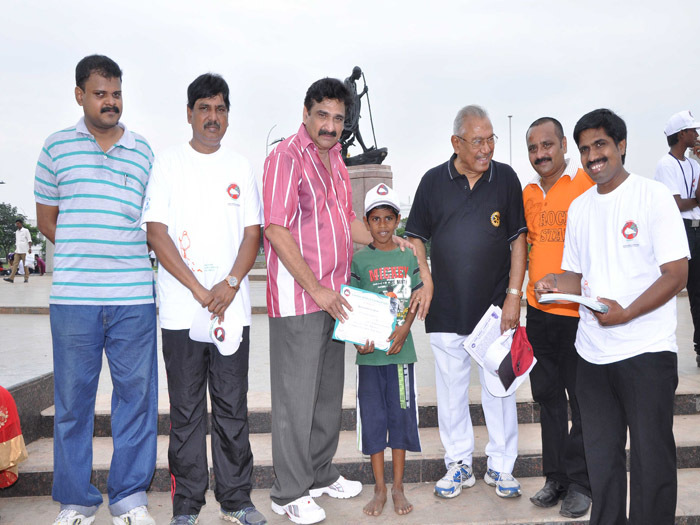 "NADAI NOIKKU THADAI" (Walking a Mile Makes You Smile) was a rally conducted by Gandhi world foundation on account of GandhiJayanthi at the MARINA BEACH from the laborer's statue till the Gandhi statue this morning at 8 AM(30/09/12). 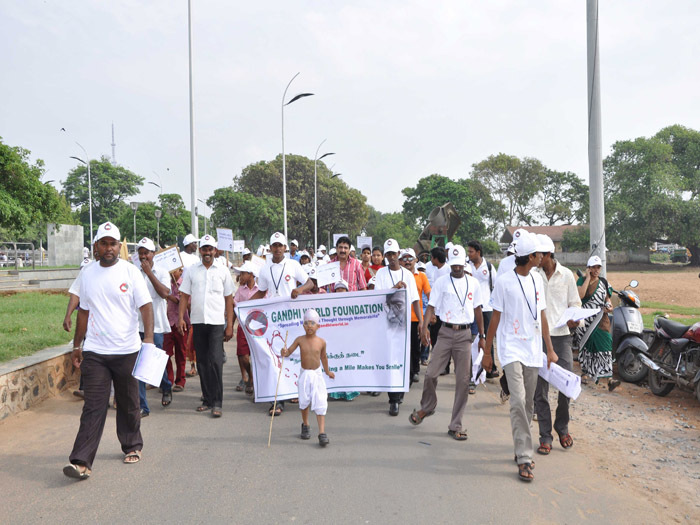 Based on the ideologies of World peace icon, Mahatma Gandhi which includes walking is the best way to make one stay ahead of all ailments, this awareness rally was conducted. 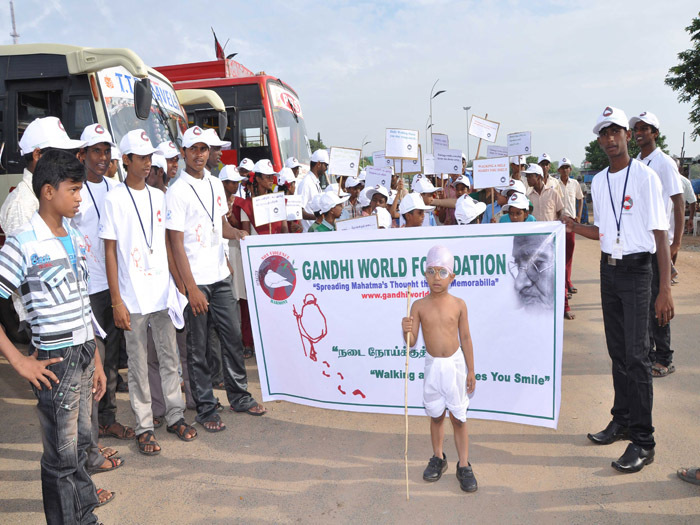 Gandhi World Foundation always aims to spread the message and teachings of Mahatma Gandhiji, the father of the nation and believes that the younger generation will have more inclination towards Gandhiji's teachings and their respect and regard for Gandhiji will grow manifold times. 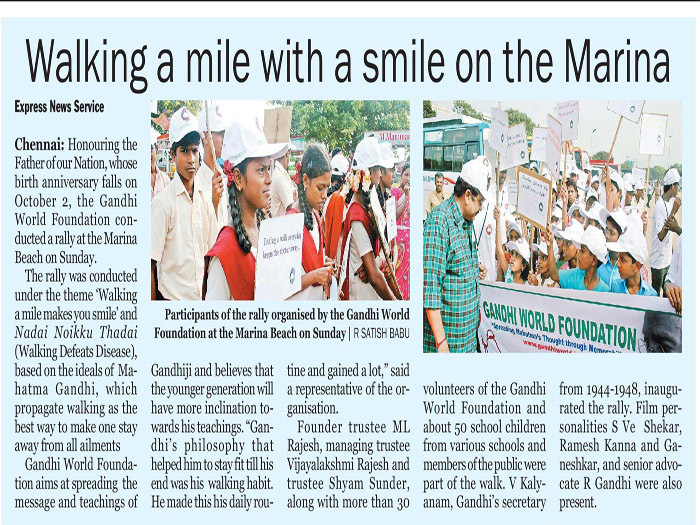 Gandhi's philosophy which holds good for today's scenario and also which helped him to stay fit since he followed it without fail, till his end was this walking exercise. 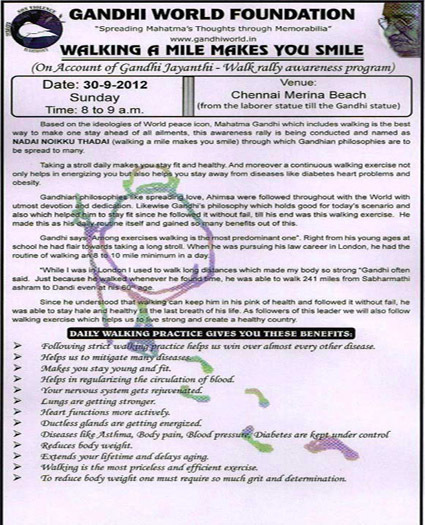 He made this as his daily routine itself and gained so many benefits out of this. 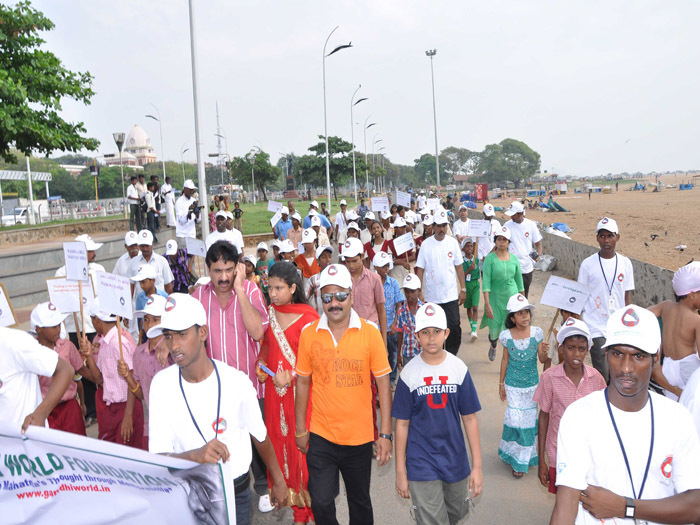 Founder trustee ML Rajesh, Managing Trustee Vijayalakshmi Rajesh, Trustee Shyam Sunder, more than thirty volunteers of Gandhi world foundation, also around 50 school children from various schools and many general public were a part of this walk .ThiruV.Kalyanam, General secretary of Mahatma Gandhi (1944-1948) inaugurated the rally, Cinema personalities like S.Ve.Sekar (Renowned actor), Ramesh Kanna (Actor/Director) and Tele Serial actor Master Ganeshkar. 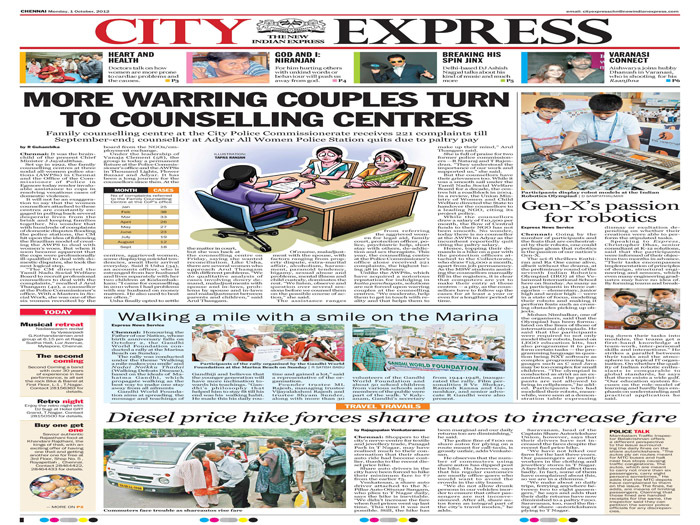 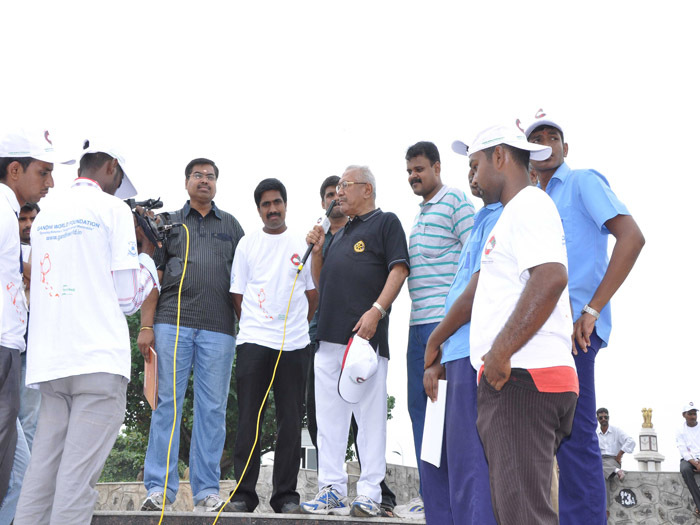 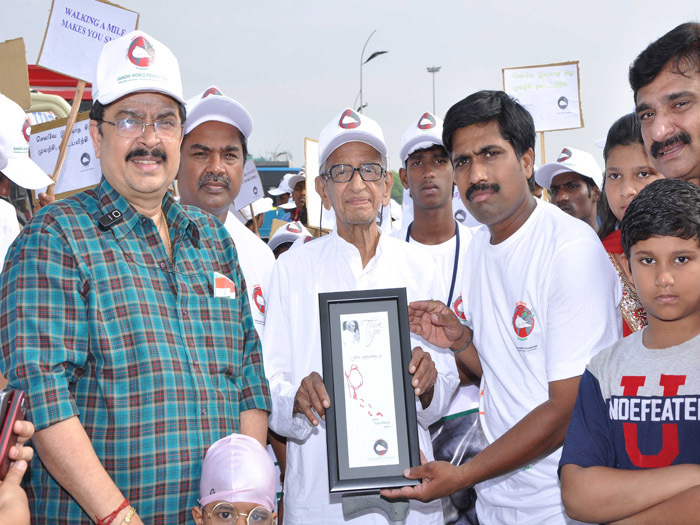 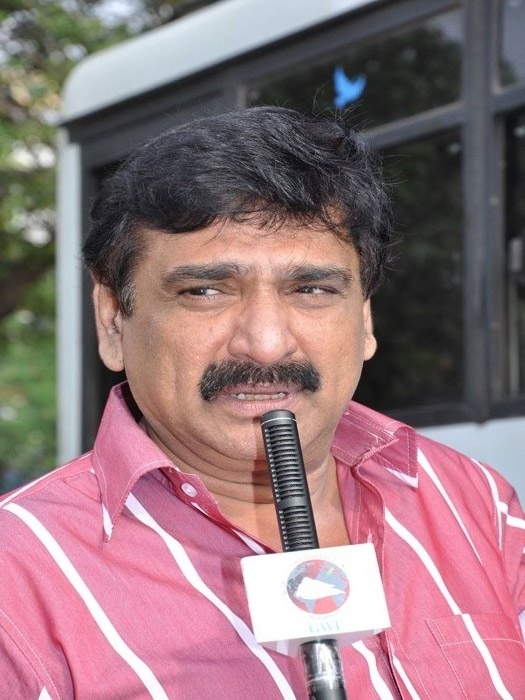 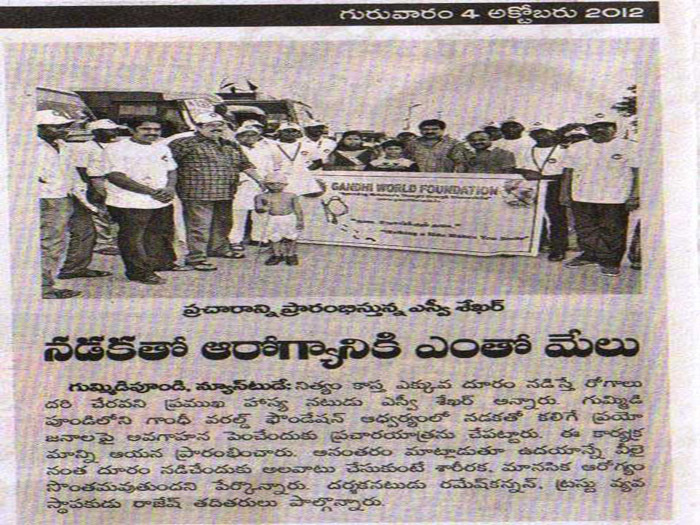 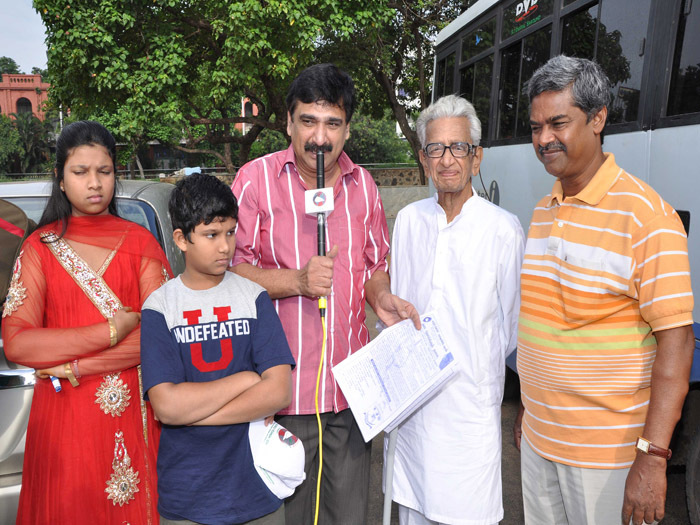 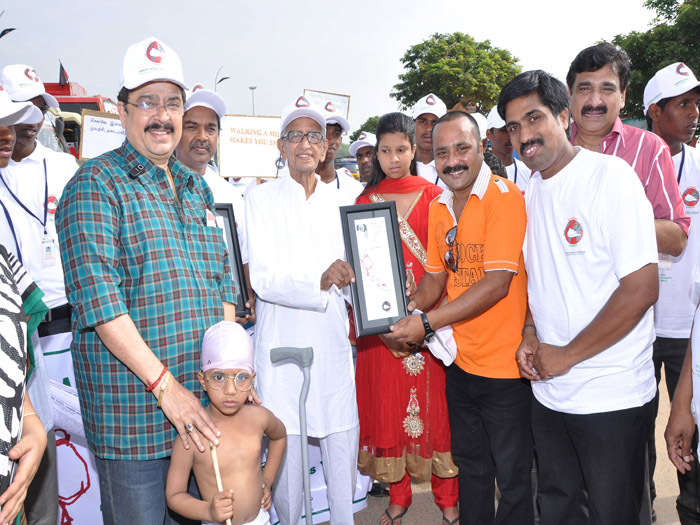 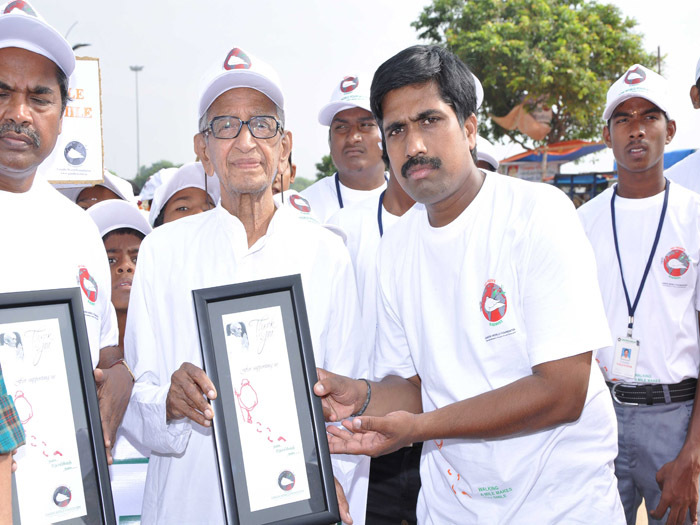 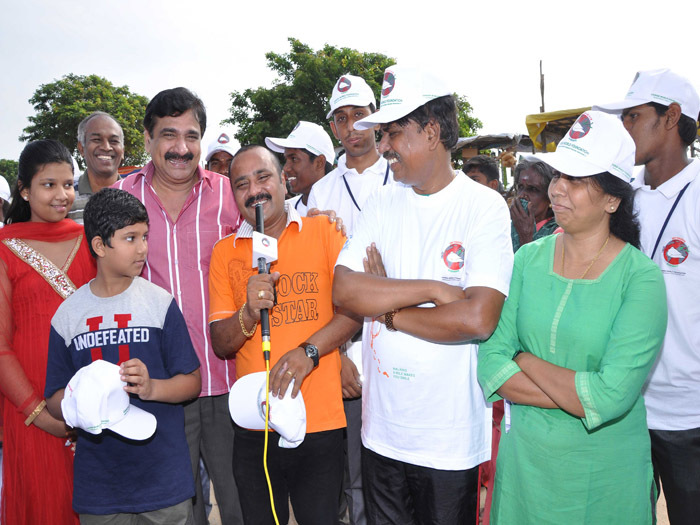 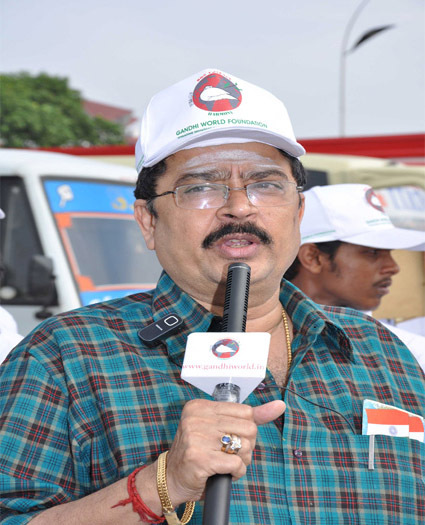 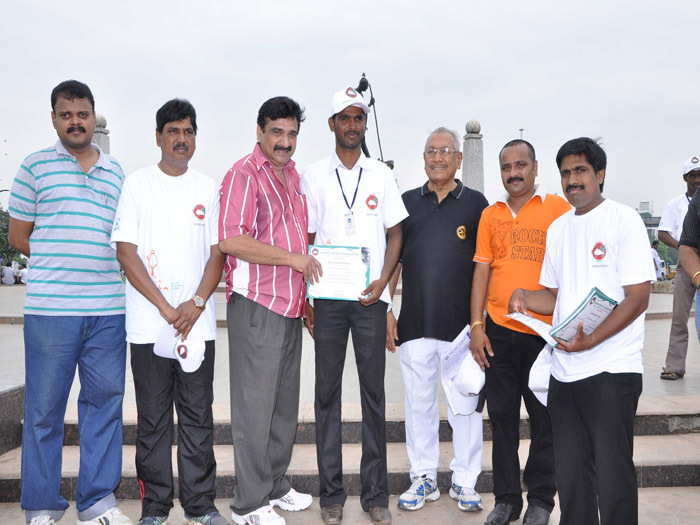 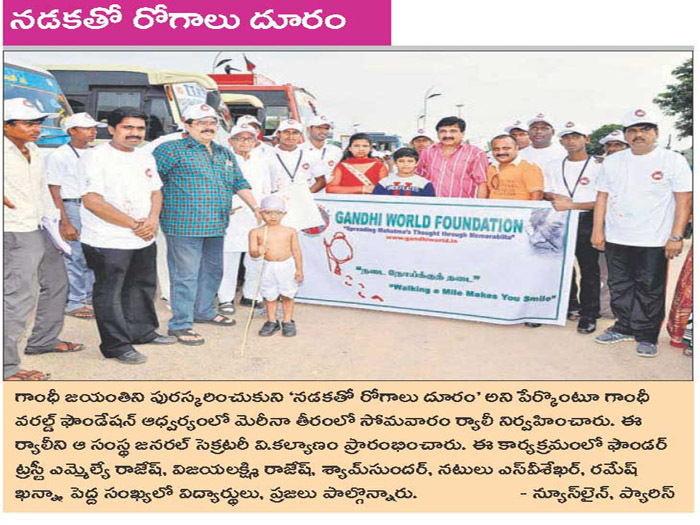 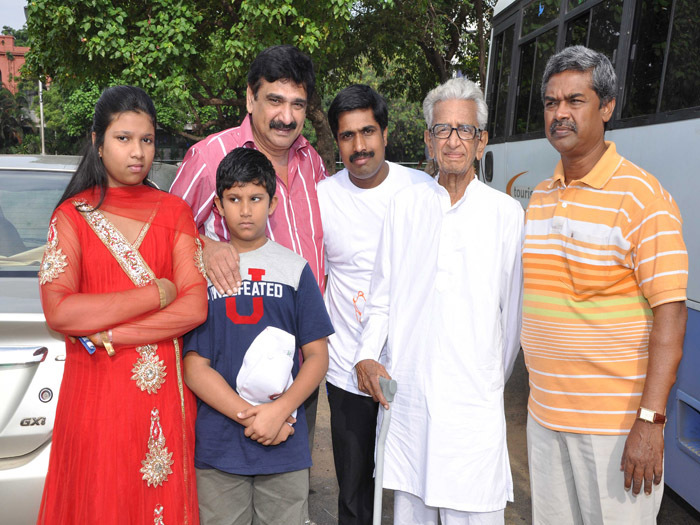 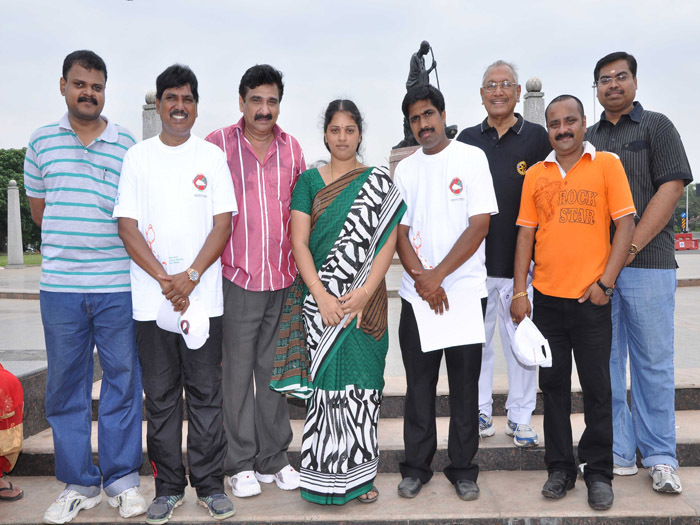 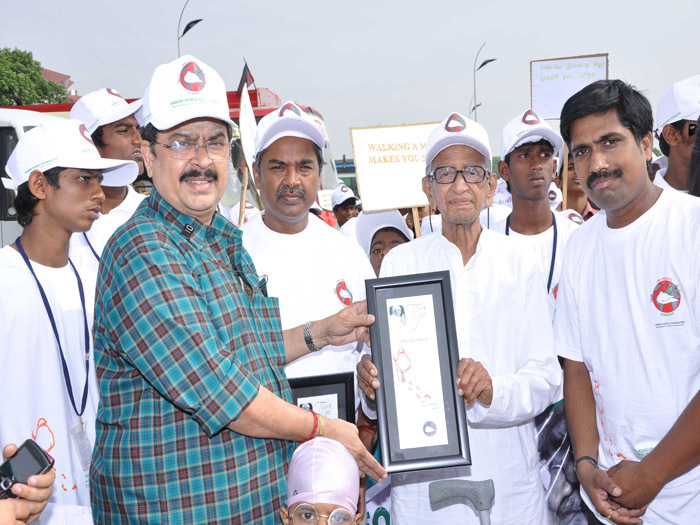 R Gandhi senior advocate, Dr R.Ravi Cardiologist was guests of honor in this noble walk.